Next on my list of DIY projects was homemade laundry detergent! I had originally stumbled on a recipe for liquid detergent, but decided I'd take Eileen's advice and make a powdered detergent instead. Mix all of the ingredients together, and you're done! Eileen suggests 1 tbsp per load, although I haven't had a chance to test this out yet. I'll update when I do! What?! Darn! I wanted to have a laundry soap making date together! 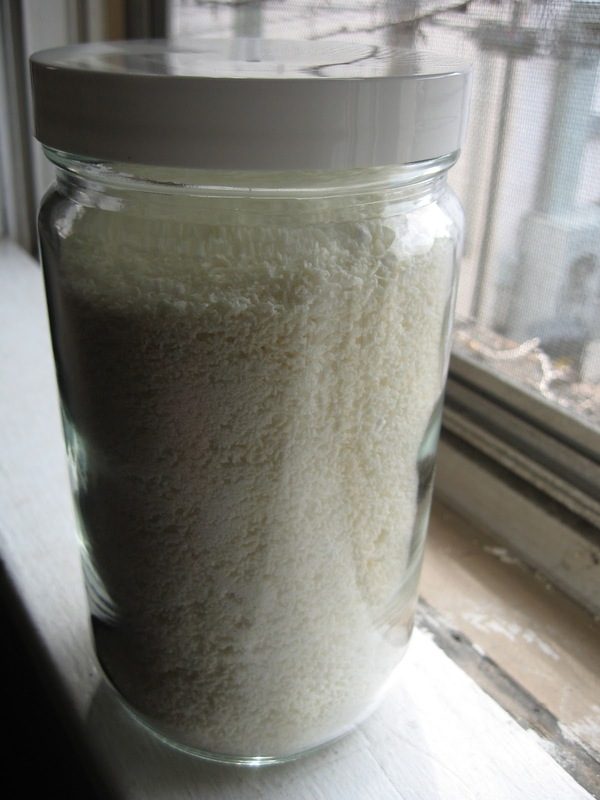 I SO want to make my own laundry soap, and have wanted to for forever. Darn. Keep me posted on how it works? I just pulled a nice, clean load of laundry out of my dryer using 1 tbsp detergent. Didn't suds at all, but it cleaned beautifully! Peanut butter stain out of a dish towel and everything!